The Fellowship was fortunate enough to obtain a copy of STAR TREK/GREEN LANTERN #2 from IDW Publishing. The story is by Mike Johnson, art by Angel Hernandez, colors by Alejandro Sanchez and letters by Neil Uyetake. This has been an intriguing crossover so far. We haven’t yet discovered how Hal got here, but I have a feeling that shoe will drop in the next issue. 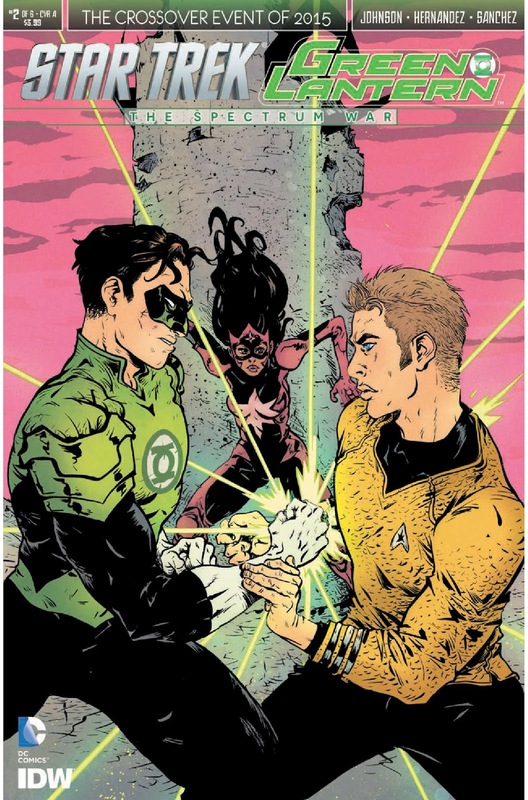 Mike Johnson is no stranger to rebooted Star Trek and I kinda like how he’s handling Hal Jordan so far. Bringing in General Chang this early was an interesting choice, given that there are other classic Klingon foes that he could have used. Angel Hernandez’s art is very slick and beautiful; really like the Lantern/Trek mashup designs. Can’t wait to read the next issue! STAR TREK/GREEN LANTERN #2 is in stores now, or available for ordering at www.idwpublishing.com.